Situated in the seaside town of Dunbar, East Lothian. Located just minutes from Dunbar train station. 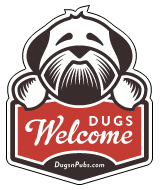 There are a total of 24 dog friendly listings in the E Lothian Pubs category. Please log in, or sign up as a member to view all listings.